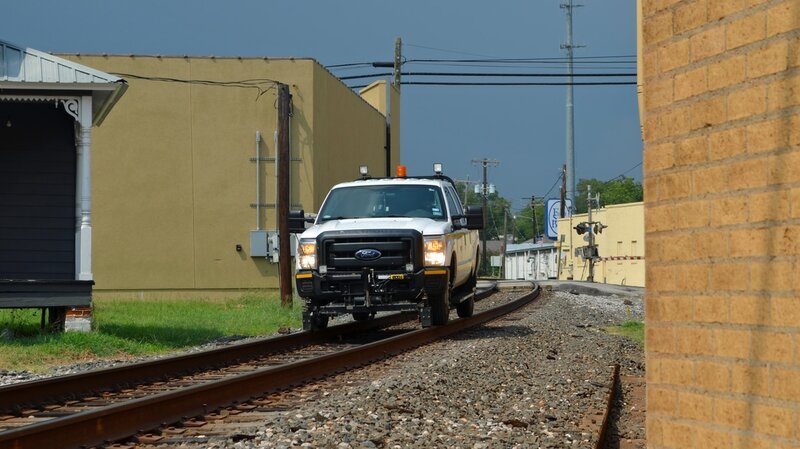 ​"Polk County is in the East Texas Timberlands region on the east bank of the Trinity River. 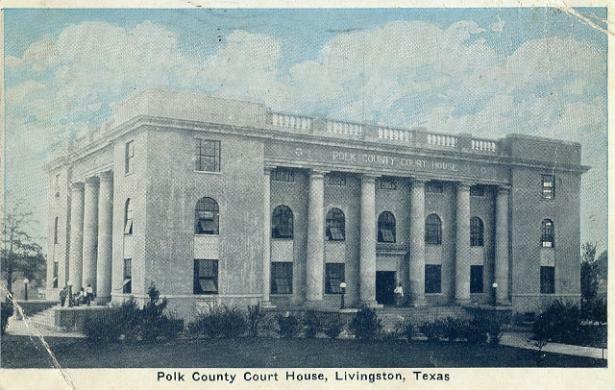 The county seat, Livingston, straddles U.S. highways 59 and 190 about seventy-six miles northeast of Houston. The county comprises 1,061 square miles, ranging in elevation from 100 to 300 feet. 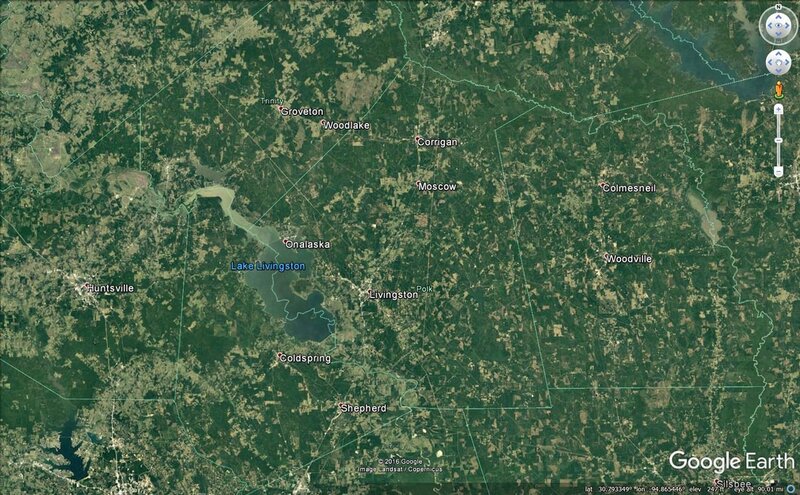 "The Big Thicket discouraged European settlement. Although the region now called Polk County was included in a vast royal land grant to Pánfilo de Narváez as early as 1529, the Spanish largely neglected the area. A few roads following Indian trails were completed through the district, but no settlers came. About 100 American and Hispanic families received land grants from various empresarios and companies between 1831 and 1834, but few actually settled the land. 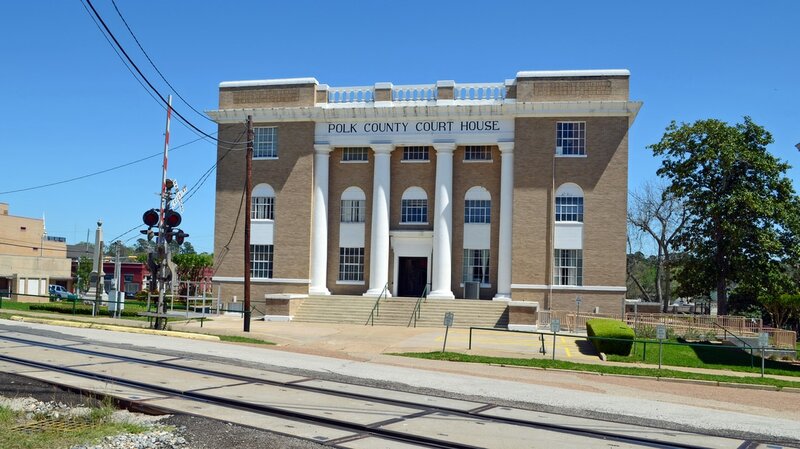 "Polk County, named after President James K. Polk, was one of twenty-three counties formed by the first state legislature of Texas in 1846. 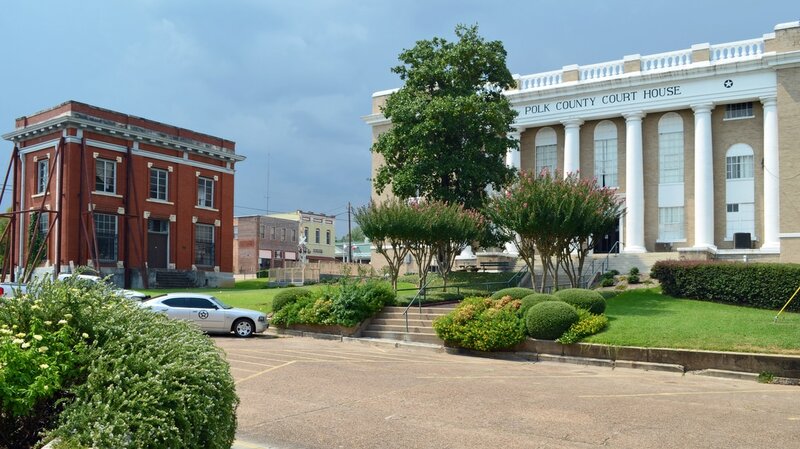 The boundaries established on March 30 closely followed those of the old northern division of Liberty Municipality, a subdivision of the Department of Nacogdoches established by the Mexican government in 1830. 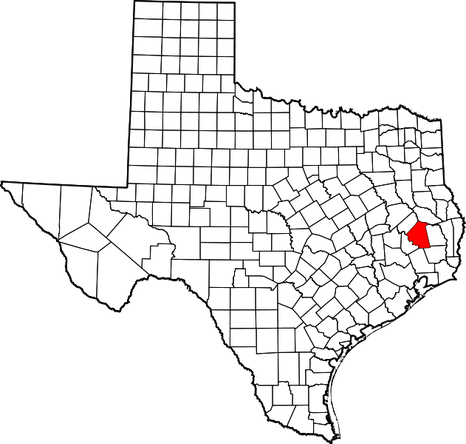 On August 13, 1870, the part of Polk County west of the Trinity became San Jacinto County. 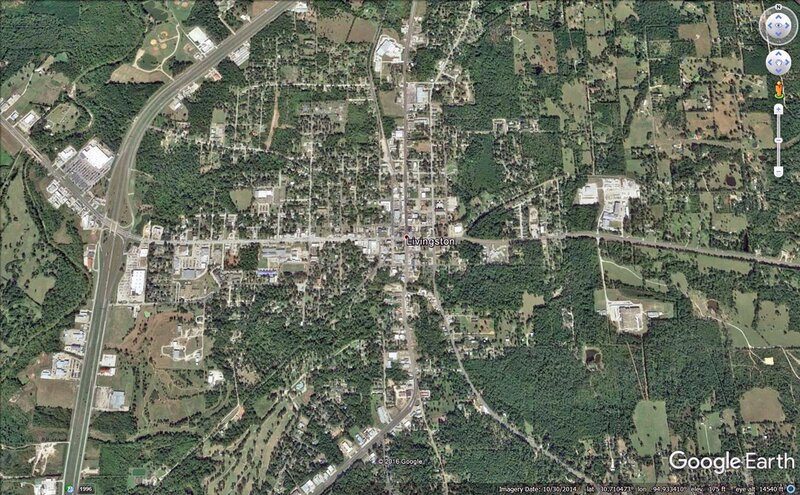 The present area of Polk County was fixed on March 11, 1875, when a portion of Trinity County was annexed. 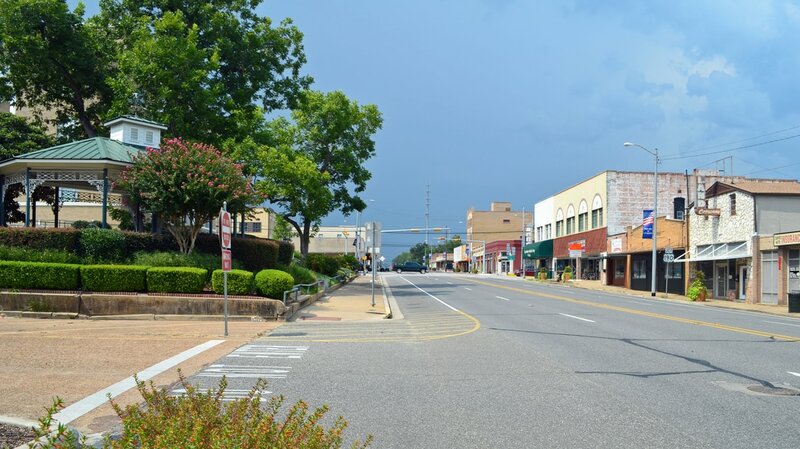 Livingston, formerly Springfield, was selected by a vote as the county seat in 1846." 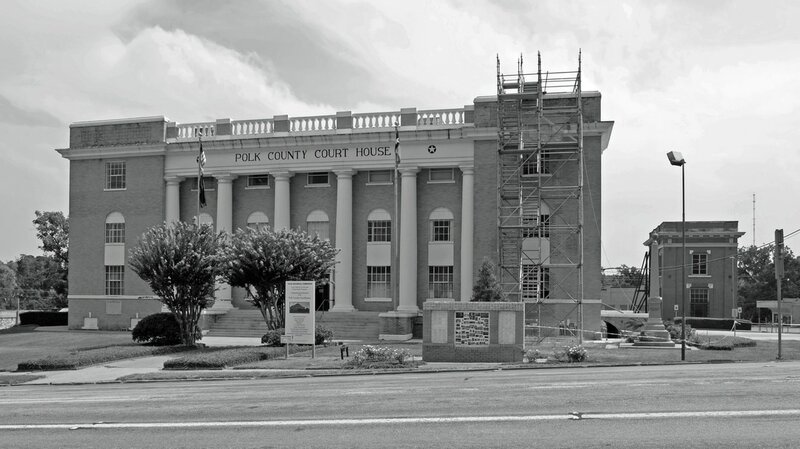 I visited Polk County and photographed the courthouse in Livingston on September 28, 2009, August 16, 2105, and March 25, 2017. US Highway 59 (IH-69) bypasses Livingston on the west. 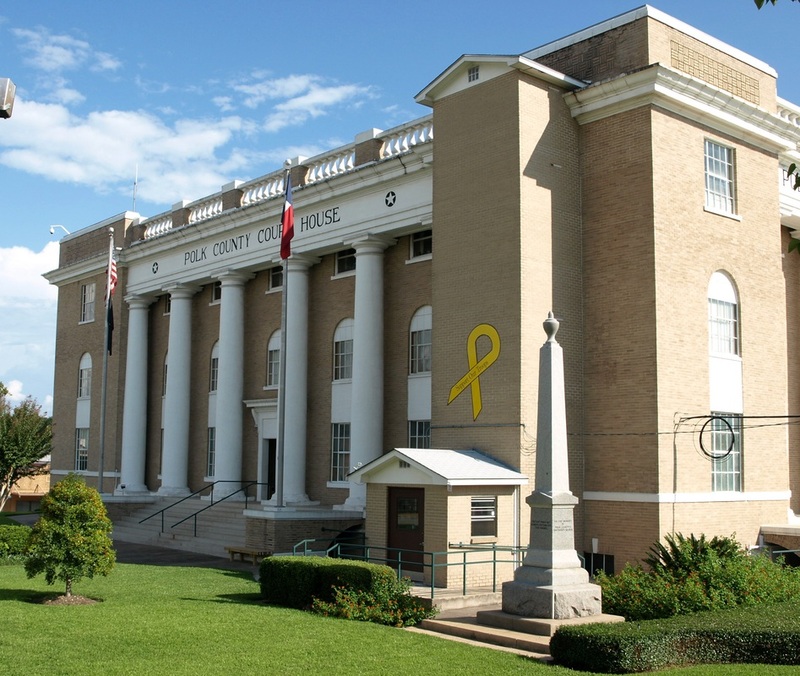 A monument on the courthouse grounds features historic places, people, and events in Polk County. 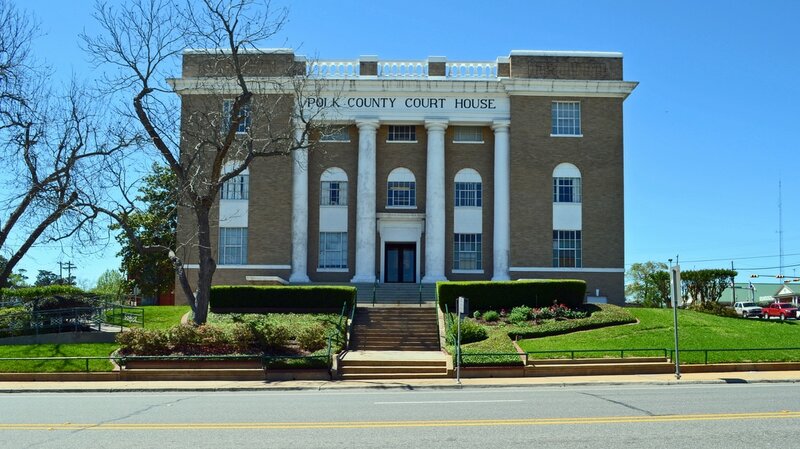 "1854, plans were underway for a two-story brick courthouse. It was 40 feet square with a wide hallway and four offices on the ground floor and one large open courtroom upstairs. The ground floor walls were 18 inches thick. 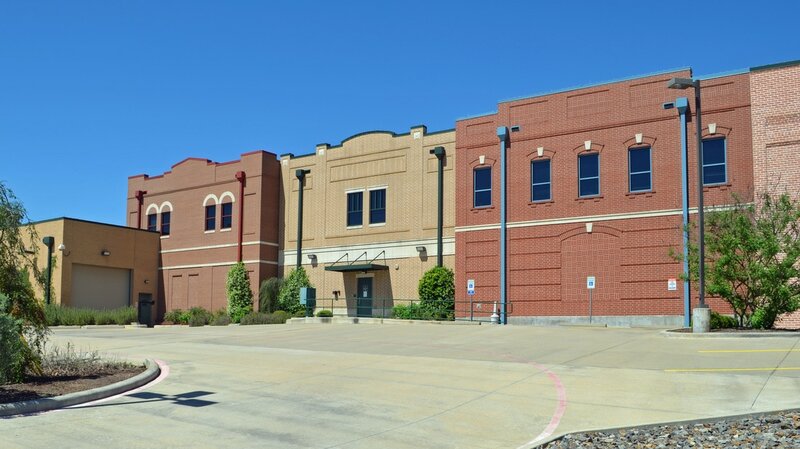 The cost of this building was just under $6,000. The courtroom continued to be the meeting place for local Churches and social functions until 1858. 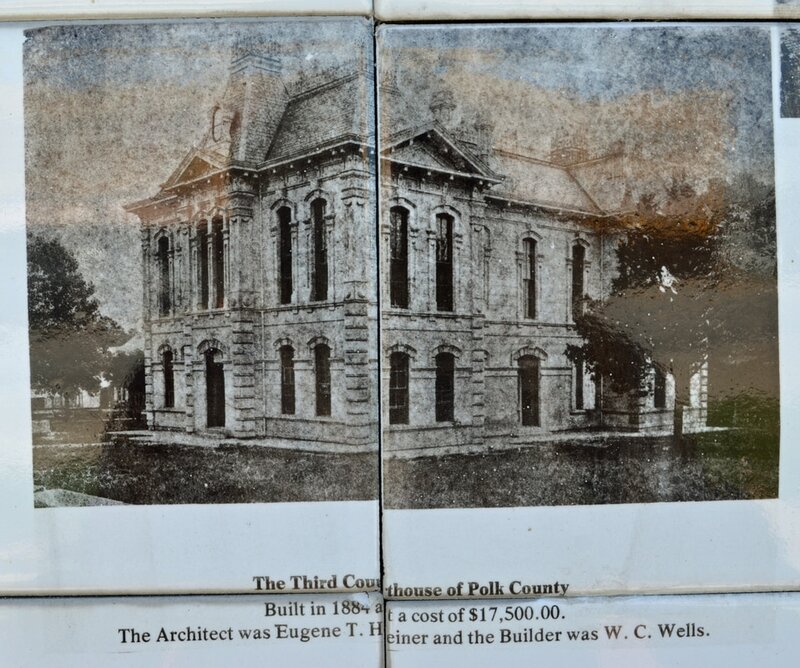 In 1884, the court authorized the enlargement and renovation of the brick building and added a new stone facade at a cost of $17,500. The architect for this project was ﻿﻿﻿Eugene T. Heiner﻿﻿﻿ and the builder was W.C. Wells. 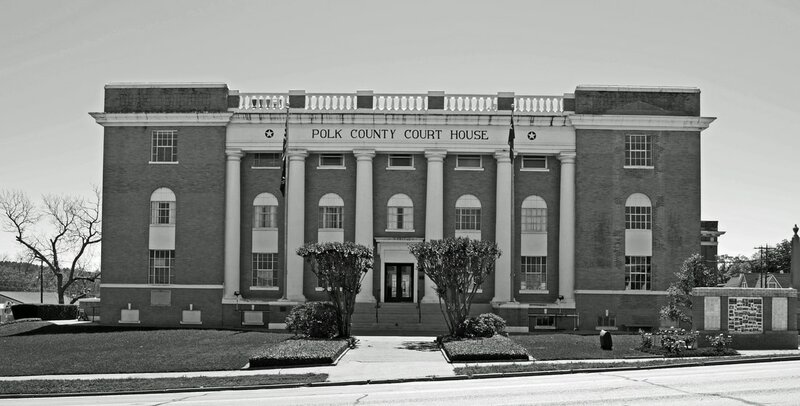 "In 1905, the Polk County Courthouse Annex (also known as the County Clerk Building) was built to house the County Clerk and County records on the southwest corner of the courthouse square. 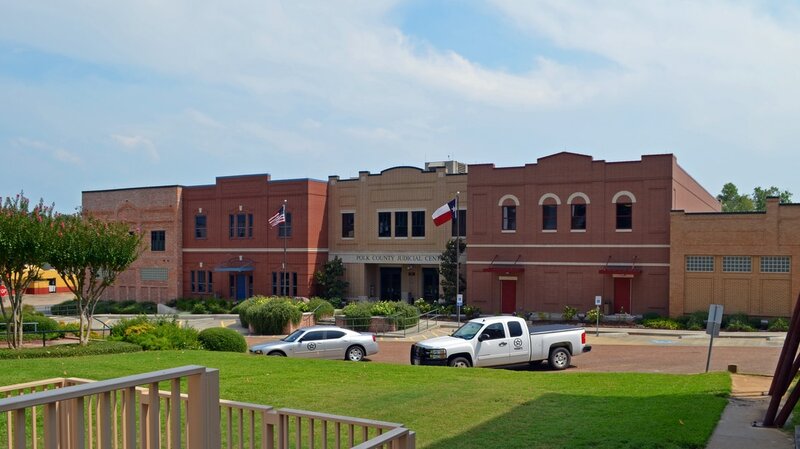 The 2-story building of locally produced brick was designed in a Classical Revival style by Houston architect Lewis Sterling Green. It was built by Henderson Shearer & Miller for $6,740." 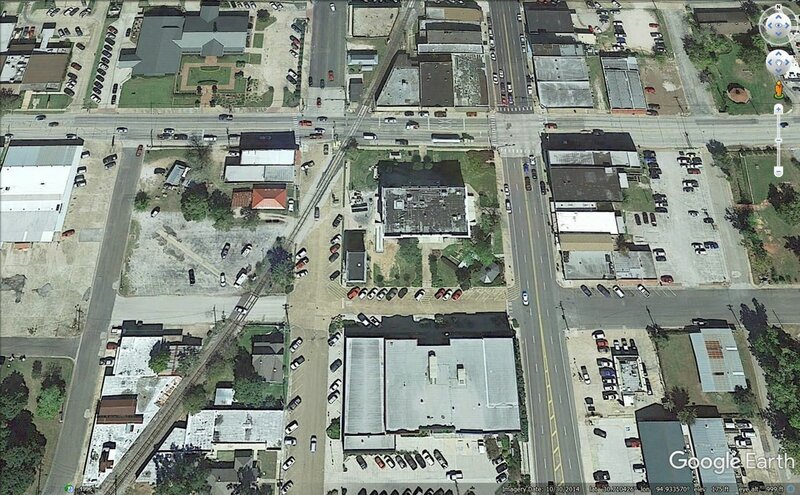 The Union Pacific (formerly the Southern Pacific) railroad tracks are very close to the west side of the courthouse square. 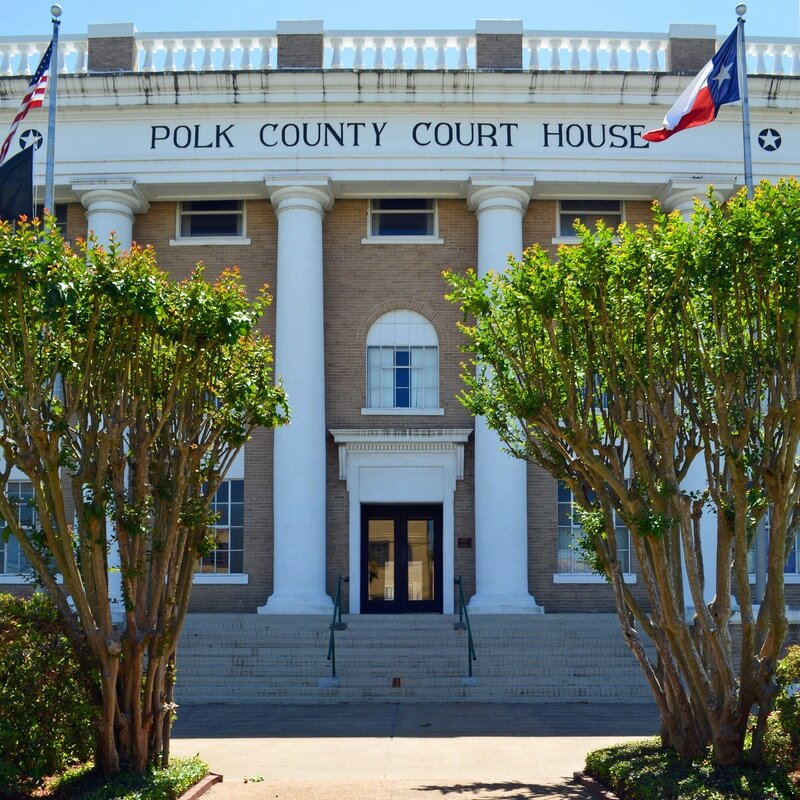 "The Polk County Courthouse, designed by the Houston architectural firm of McLelland & Fink, was built in 1923-24 to answer the needs of a growing and prosperous county. 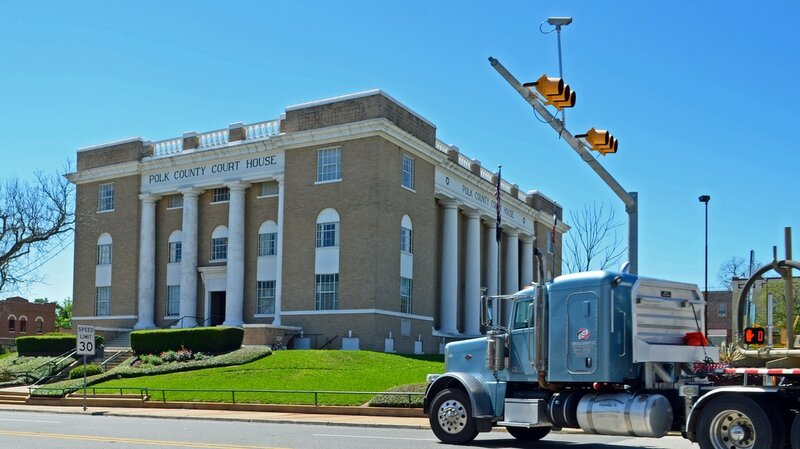 Each elevation of the courthouse is similarly detailed and arranged, the major difference being that the wider north and south elevations of the building have seven bays while the narrower south and north elevations are five bays wide. 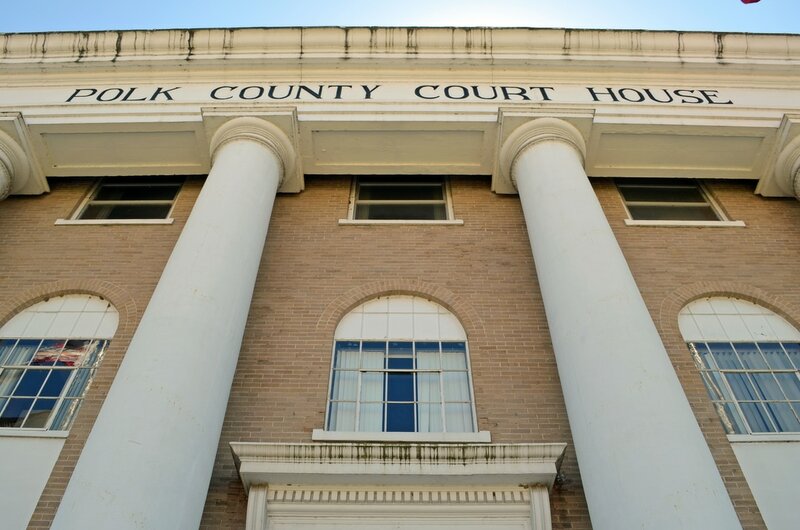 "The 3-story tan brick Classical Revival courthouse features a raised basement, a rectangular plan and a flat roof. The building reflects a simplified Beaux Arts classicism evident in the massive columns dominating the symmetrical facades, strong cornice-line balustrade, arched windows, rectangular plan, flat roof, lack of pediments, and a cross-axial plan." "Architect John McLelland was born in Greenock, Scotland, trained at the West of Scotland Technical College in Glasgow, graduated from the Academy of Fine Arts in Edinburgh, and migrated to Chicago in 1906. He left soon thereafter to work as an estimator at the Thompson Starrett Company in San Francisco, finding work during the rebuilding after the 1906 fire. After migrating to Portland, Oregon and Los Angeles, he settled in Houston in 1911, where he became a prolific designer of public schools. 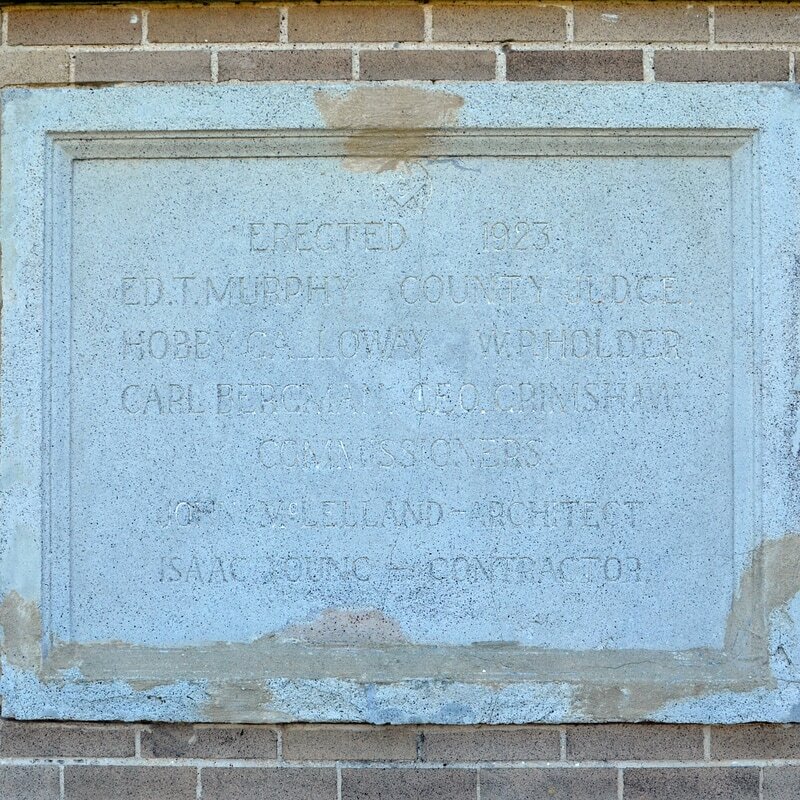 McLelland held the position of architect for the City of Houston in 1919-20, and died suddenly in 1929. Little is known about his partnership with Fink." The front facade. The brick tower was a 1968 addition for an elevator. Not a particularly sensitive alteration to a historically significant building! August 16, 2015, the elevator shaft is gone! 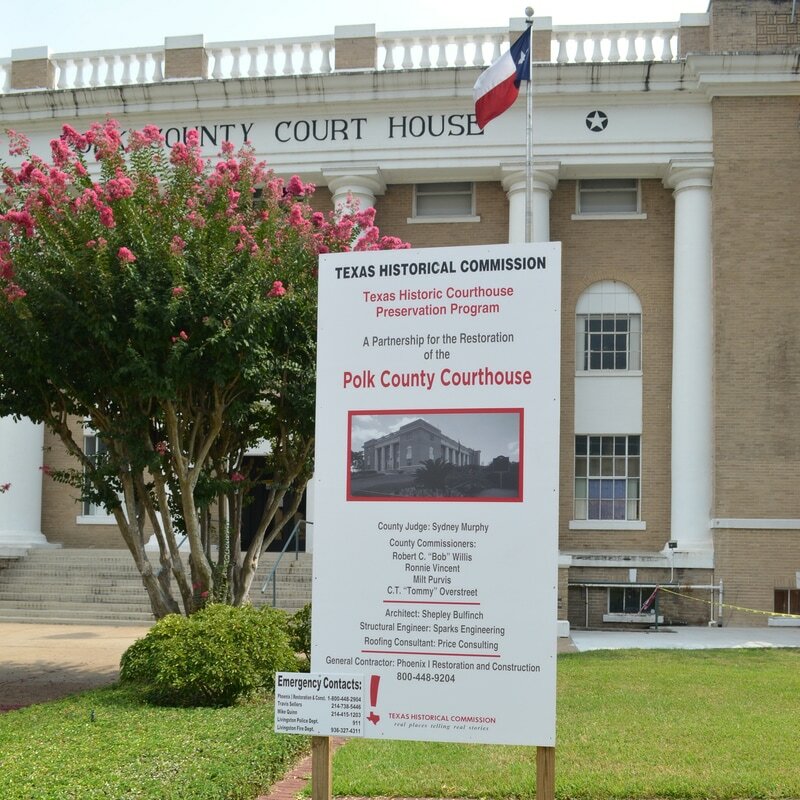 The front of the courthouse is restored to it's original appearance. The north facade, on Church Street, is the front, although there are doors on each side of the building. The west facade is very close to the tracks. The south facade. 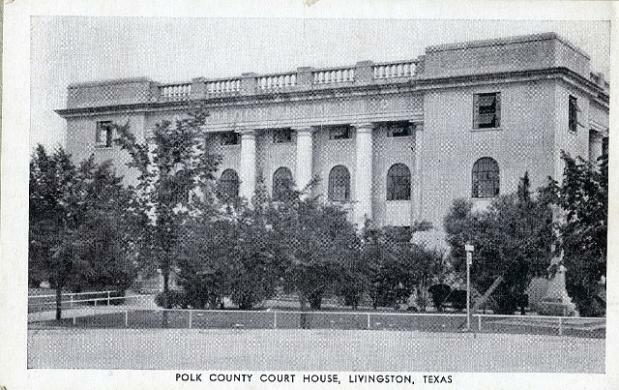 To the left, a 1905 courthouse annex, designed by Houston architect Lewis Sterling Green. The annex is only 23 feet wide! 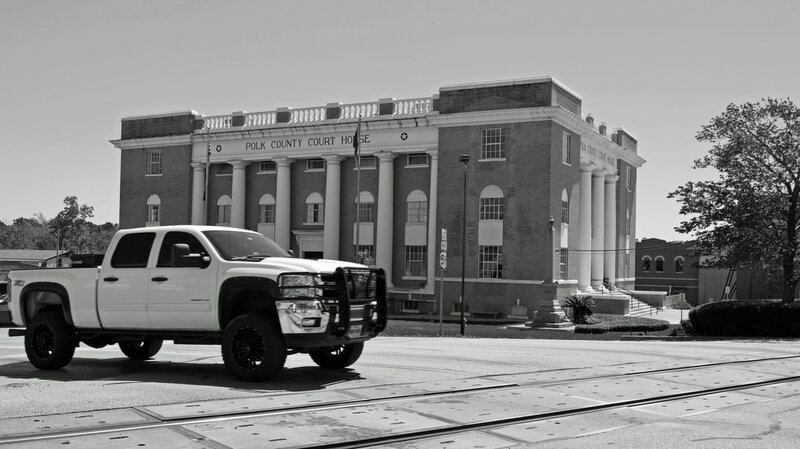 The 2011 Polk County Judicial Center is directly south of the courthouse, on Mill Street. The south facade of the Judicial Center. Looking north on Washington Avenue, on the east side of the courthouse square. The east facade of the courthouse, on Washington Avenue. The northeast corner of the courthouse.